As Israeli Prime Minister-designate Benjamin Netanyahu prepares to see his government sworn in later today (Tuesday), the sophisticated PR spin that Netanyahu is infamous for is already well on its way. This time the focus is economy. We are not fooled. We hope you will not be either. Hang this poster/flyer on your library bulletin board, supermarket bulletin board, city hall bulletin board, university bulletin board, place on car windshields at events, take out newspaper ads, hold press conferences, add to your websites, send to your newspapers editorial staff, etc, etc. 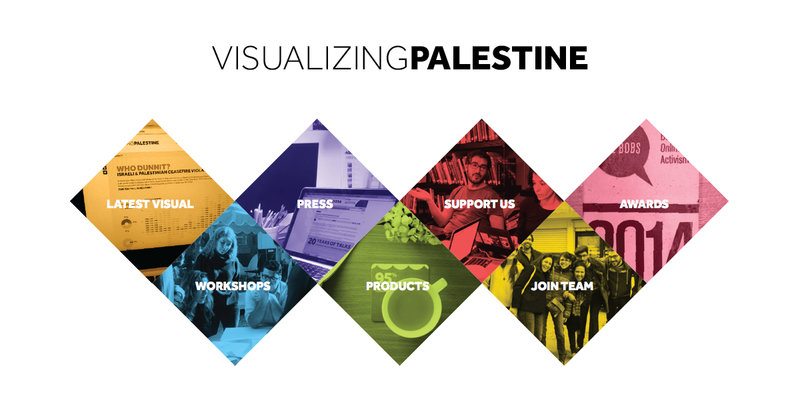 Do what you can to expose yet another Israeli government that tries to cover its war crimes with words. …SO REAL NEGOTIATIONS CAN START TOMORROW! Thanks to Binyamin Netanyahu's overweening ambition, Israel is to be saddled with a foreign minister who is a national disgrace. Imagine a country that appoints someone who has been found guilty of striking a 12-year-old boy to be its foreign minister. 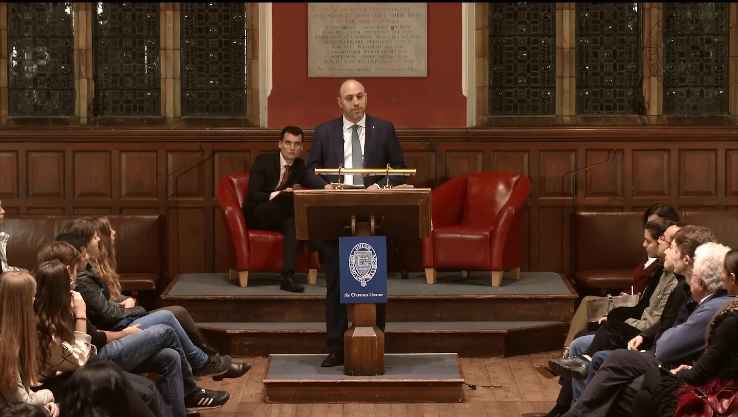 The person in question is also under investigation for money- laundering, fraud and breach of trust; in addition, he was a bona fide member of an outlawed racist party and currently leads a political party that espouses fascist ideas. On top of all this, he does not even reside in the country he has been chosen to represent. Even though such a portrayal may appear completely outlandish, Israel's new foreign minister, Avigdor Lieberman, actually fits the above depiction to the letter. • In 2001, following his own confession, Lieberman was found guilty of beating a 12-year- old boy. As part of a plea bargain, Lieberman was fined 17,500 shekels and had to promise never to hit young children again. • In 2004, Lieberman's 21-year-old daughter Michal set up a consulting firm, which received 11m shekels from anonymous overseas sources. Lieberman, according to the police, received more than a 2.1m-shekel salary from the company for two years of employment. In addition, according to an investigation by Haaretz, he allegedly received additional severance pay – amounting to hundreds of thousands of shekels – in 2006 and 2007, while he was minister of strategic affairs and deputy prime minister. According to Israeli law, this is illegal. • Lieberman is an ex-member of Meir Kahane's party, Kach, which was outlawed due to its blatantly racist platform. Moreover, his views towards Arabs do not appear to have changed over the years. In 2003, when reacting to a commitment made by Prime Minister Ariel Sharon to give amnesty to approximately 350 Palestinian prisoners, Lieberman declared that, as minister of transport, he would be more than happy to provide buses to take the prisoners to the sea and drown them there. 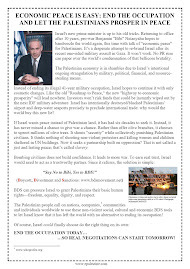 • In January 2009, during Israel's war on Gaza, Lieberman argued that Israel "must continue to fight Hamas just like the United States did with the Japanese in the second world war. 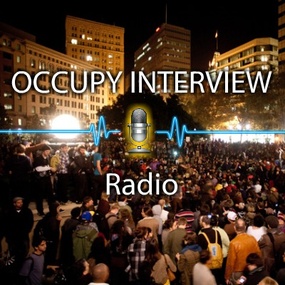 Then, too, the occupation of the country was unnecessary." He was referring to the two atomic bombs dropped on Nagasaki and Hiroshima. • Lieberman does not live in Israel according to its internationally recognised borders, but rather in an illegal settlement called Nokdim. Legally speaking, this would be like US Secretary of State Hillary Clinton residing in Mexico and UK Foreign Secretary David Miliband living on the Canary Islands. And yet, despite these egregious transgressions, newly-elected Prime Minister Binyamin Netanyahu has no qualms about appointing Lieberman to represent Israel in the international arena. Netanyahu's lust for power has led him to choose a man who actually poses a serious threat to Israel. Both Lieberman's message and style are not only violent, but have clear proto-fascist elements; and, as Israeli commentators have already intimated, he is extremely dangerous. Politics being politics, most western leaders will no doubt adopt a conciliatory position towards Lieberman, and agree to meet and discuss issues relating to foreign policy with him. Such a position can certainly be justified on the basis of Lieberman's democratic election; however much one may dislike his views, he is now the representative of the Israeli people. Those who decide to meet him can also claim that ongoing diplomacy and dialogue lead to the internalisation of international norms and thus moderate extremism. These justifications carry weight. However, western leaders will also have to take into account that the decision to meet Lieberman will immediately be associated with the ban on Hamas, at least among people in the Middle East. In January 2006, Hamas won a landslide victory in elections that were no less democratic than the recent elections in Israel. While Hamas is, in many respects, an extremist political party that espouses violence, its politicians are representatives of the Palestinian people and are seen as struggling for liberation and self-determination. If western leaders want to be conceived as credible, they must change their policy and meet with Hamas as well. Otherwise, their decision to meet Lieberman will be rightly perceived as hypocritical and duplicitous, and the pervasive perception in the region – that the United States and Europe are biased in Israel's favour – will only be strengthened. Washington, D.C. | March 27, 2009 | www.adc.org | Today, the American-Arab Anti- Discrimination Committee (ADC) filed multiple administrative complaints with the US Department of the Treasury, including the Internal Revenue Service (IRS), requesting investigations into the activities of organizations claiming tax-exempt status under section 501(C)3 of the US Tax Code yet allegedly raising funds for the development of illegal settlements in the occupied West Bank. Among other allegations, the ADC complaints allege that these organizations are using assets and income in direct violation of their addressed purpose, and to support illegal and terrorist activities abroad. Israeli settlements in the West Bank, including the system of segregation roads, walls and checkpoints which surround them, continue to debilitate life for Palestinians in the occupied territory. Every American administration since the Carter Administration has been critical of Israeli settlements in the West Bank. Most recently, Secretary of State Hillary Clinton criticized Israeli government initiatives to expand these settlements. More information on the challenges associated with Israeli settlement construction and detailed information on the settlement enterprise can be read in the recently-released ADC-Research Institute’s issue paper on this subject . A review of Zeev Maoz's Defending The Holy Land: A Critical Analysis Of Israel's Security & Foreign Policy (University of Michigan Press: 2006). Hamas has also honored both short and long ceasefires, not the least of which took place during the six months preceding Israel's recent devastation of Gaza. A January 2009 Huffington Post article by Nancy Kanwisher, Johannes Haushofer, & Anat Biletzki shows that in any "conflict pause" between 2000 and 2008 ("conflict pause" means a cessation of hostile actions on both sides) Israel most often killed first, shattering the peace. The longer the "conflict-pause," the greater Israel's propensity to break it with violence. 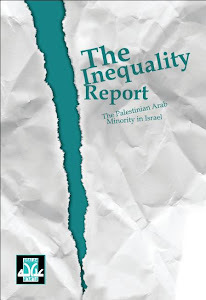 Anyone seeking the background behind Israel's demonizing of Hamas; its destruction of Gaza; its slide into today's fascism (my word, not Maoz's) should read this book. According to its author Israel has been a "Sparta state" from its inception, its national psyche veering between arrogance and paranoia. Shaped by the belief that all Arabs and their states would destroy Israel if they could, the Jewish state's policies have been rooted from the start in Jabotinsky's "Iron Wall" doctrine. 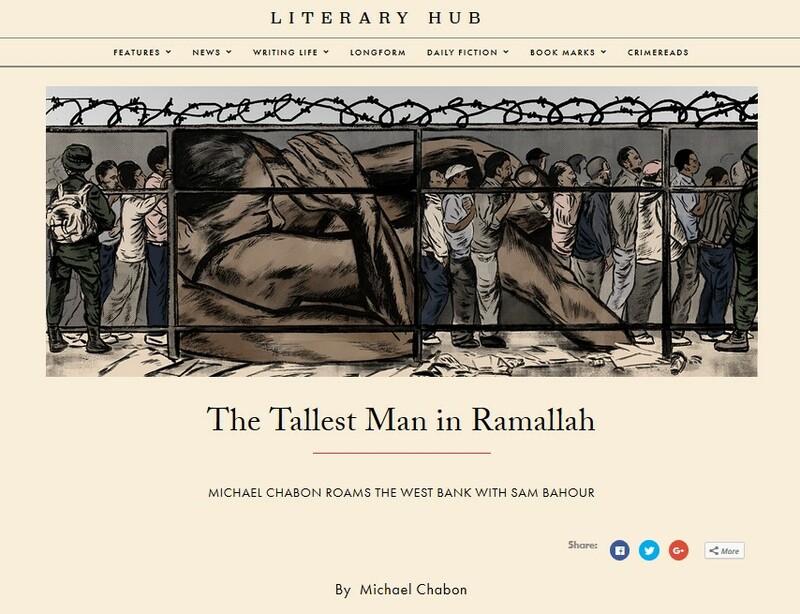 Adopted by Jabotinsky's arch-rival Ben Gurion, this doctrine has translated throughout Israel's history as repeated military blows "to convince the Arabs of the futility and illogic of their dreams. Over time, the Arabs will come to accept the Jewish state and to make peace with it" (9). The book brings a crushing weight of historical and analytical detail to bear on all arenas of Israel's security and foreign policy. Readers will find blow-by-blow analyses (including details of military decisions, arms used, tactics chosen, advances, retreats, etc.) of all of Israel's wars from Sinai in the mid-1950s through Lebanon in 1982 (the book ends in 2004). 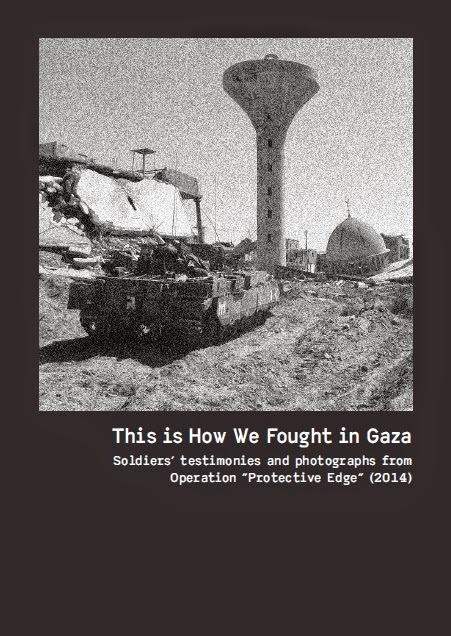 Here, too, is a compendium of its "lesser" conflicts from 1949 through the first part of the al-Aqsa Intifada. Maoz gives careful attention to Israel's secretive nuclear policy and its impact on the region. An illuminating exploration of Israel's intervention into the affairs of neighboring states includes Israel's covert operations in the Sudan, where it supported the Black Sudanese south against the Arab north from 1965-75; the West Bank, where it tried to create "village leagues" -- these were manned by thugs loathed by the general population -- to supplant the PLO. (When that didn't work, it supported Muslim groups that morphed into Hamas.) 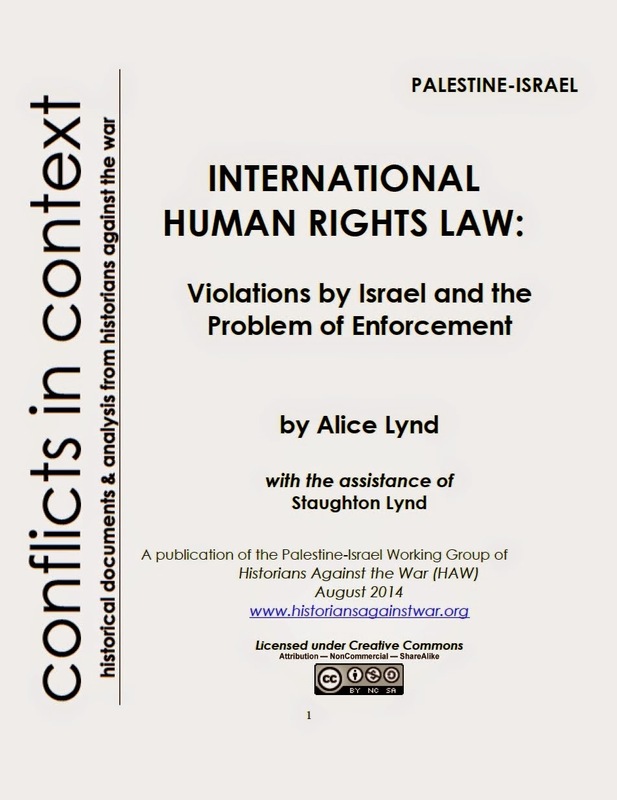 A section on the "causes and implications of the mismanagement of National security & foreign policy" includes a detailed discussion of how Israel's military came to dominate its civil society (including its court system). This book was ignored (by The New York Times among others) when it appeared. My guess is that it wasn't the book's bulk (at over 700 pages including end notes and references this is a huge volume) that caused editors to ignore it. Certainly it wasn't its plain-spoken but occasionally "poli-sci" style: such books are routinely reviewed in the Times and The New York Review of Books. I suspect that the book was simply too damning of policies slavishly underwritten by the US, and unquestioningly accepted by US intellectuals -- including, say, the editors of the Times. Length and unwieldiness might have been an excuse; but the real reason probably lies in today's unhappy atmosphere of censorship (both by the "self" and by the guardians of public thought in this arena). I also suspect that a strike against Maoz is his unimpeachable credentials. He's enough of an "establishment man" to be dangerous -- hence, better ignored. 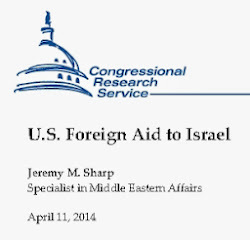 He headed the Masters program of the Israeli Defense Force's National Defense College; he also directed the Graduate School of Government Policy and the Jaffee Center for Strategic Studies at Tel Aviv University. Of five major wars he analyzes here, he fought in three: the War of Attrition, the Yom Kippur War, and the 1982 Lebanon War. In the early 1990s he briefly advised Yitzhak Rabin on strategic affairs. 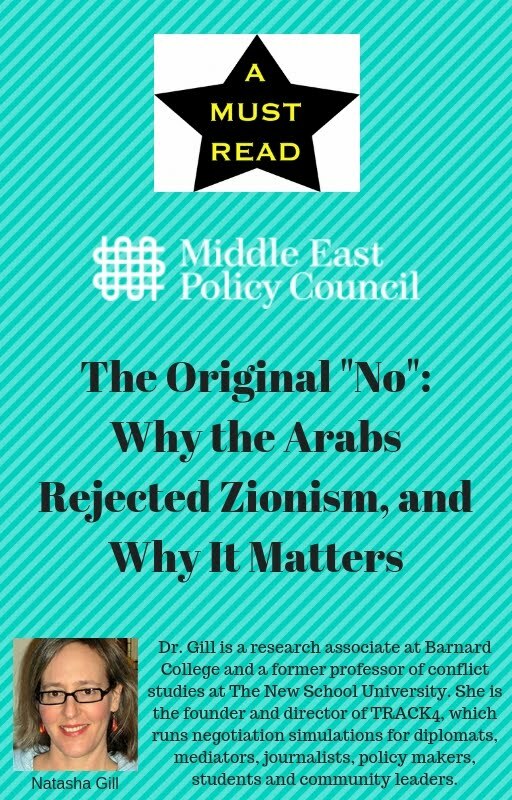 His thirty-year ambition to write this book was driven by his frustration with "the persistent failure of the policy community to learn from Israel's mistakes . 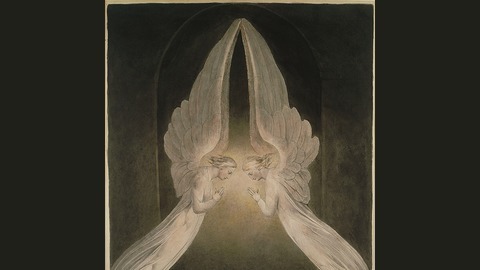 . . " (viii). Israel committed one of its worst mistakes in 1971. That February, President Anwar Sadat announced to Egypt's People's Assembly a possible "interim agreement" with Israel. Within days this became a full-blown peace offer brokered by the UN's Gunnar Jarring in trilateral negotiations with Israel, Egypt and the US. Egypt's foreign minister wrote Jarring that Egypt would "enter into a peace agreement with Israel containing all the . . . obligations as provided in Security Council Resolution 242 . . . once Israel withdrew from the Sinai" (412; emphasis mine). The offer, comments Maoz, "could not be overstated . 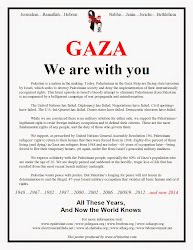 . . At the end of the road was what the Israelis had been, presumably, praying for over the past twenty-three years: a full- fledged peace treaty . . . It implied a formal acceptance of and peace with a Jewish state in the Middle East by the strongest and most important Arab state" (412). If Israel had said yes to Sadat in 1971, the Palestinians might well have been quiet (subsequent leaked Israeli intelligence has revealed that Israel was considering letting the old families in the occupied territories run their affairs as they had under the Ottoman Empire). Egypt would have been removed as Israel's greatest Arab threat; Egyptian compliance with the treaty would have been a touchstone for future negotiations with other Arab states. Before 1967 Israel would have accepted Sadat "with both hands," says Maoz. "In 1971, however, the price tag for this deal appeared excessively high . . ." (412). In short, Israel's greed trumped its desire for peace. It wanted to hold onto what it had conquered in the Sinai in 1967; in specific it wanted to build a huge city on the site of a tiny settlement called Yamit (Israel was forced to evacuate that in 1982). Was the choice of expansion over peace worth it? Maoz thinks not. The Yom Kippur War did improve Israel's relations with the US; at the same time it increased Israel's military dependence on the Americans. The Yom Kippur War further isolated Israel elsewhere in the world and, in Maoz's view, "marked the growing legitimacy accorded by the international community to the PLO" (167). Israel's security establishment (IDF intelligence) continued dominating its foreign-policy decisions. Among other things this produced Israel's ties with "pariah states such as South Africa . . . " (168). 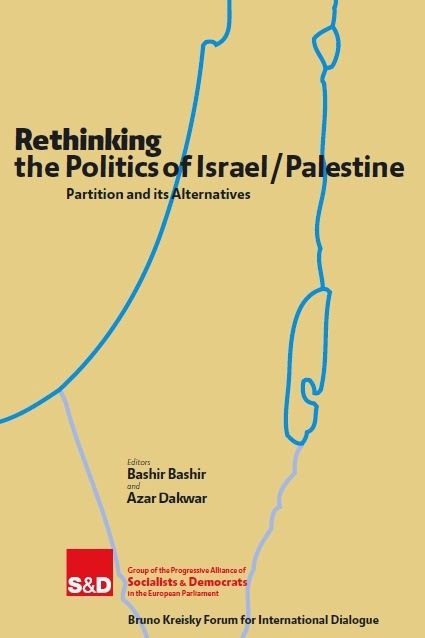 "Even before 1948 . . . Zionist leaders strongly believed that the outcome of any political settlement in Palestine would be determined by the demographic distribution of the ethnic groups residing in it . . . Settlements form a human and physical fait accompli" (17). "The Israeli leadership had been itching for war since the early 1950s...A large number of people in the military and political elite believed...that the outcome of the 1948 war had not been decisive . . . in providing Israel with defensible borders . . . 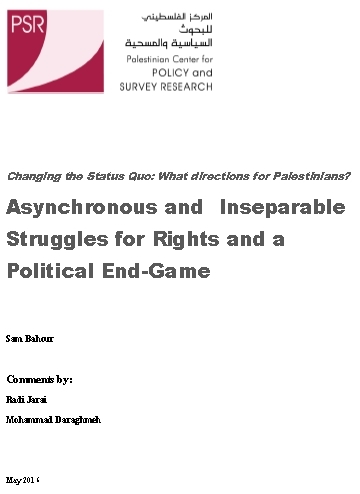 Both military and political leaders...were actively searching for an appropriate pretext to occupy the West Bank" (74). In regard to Israel's relations with Syria: "Whenever requested to define the military requirements of a possible agreement with Syria, the IDF opted for territorial control rather than for security arrangements . . . " (403). The theme I've extrapolated from the book (that Israel's expansionism has historically trumped peace) is not Maoz's. But the evidence exists for such a conclusion. A flaw is that there's so much detail, one can easily lose the forest for the trees. But the details do often make for arresting reading. "The only method that proved effective, not justified or moral [emphasis mine], but effective, when Arabs plant mines on our side (is retaliation.) . . . if we harass the nearby village . . . then the population there comes out against the (infiltrators) . . . and the Egyptian Government and the Transjordanian government are (driven) to prevent such incidents, because their prestige is (assailed) . . . " (279). Moshe Dayan's order to his general staff, October 23, 1955, to overthrow Nasser's regime by "bring[ing] about a decisive confrontation with Egypt in the nearest possible future." 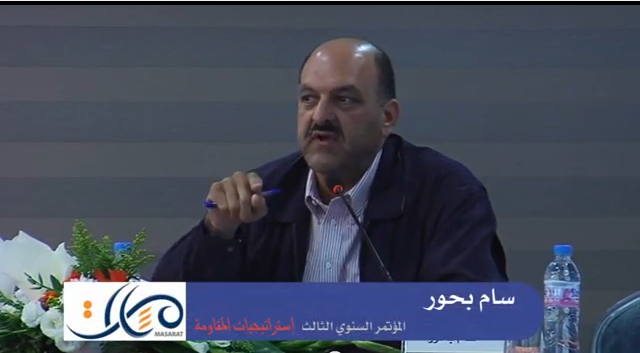 "Gradual deterioration" (Dayan's term) would materialize through acts of disproportionate force against Egyptian provocations. If nothing else worked to make Egypt react satisfactorily, Dayan would order "the occupation of the Eilat Straits by the IDF" as "the detonator that will blow up the entire powder keg" (63-65). (Result: Nasser is not overthrown. The Sinai war is a military success, but it does not result in "making the region safer for Israel and the West . . . just the opposite" (79). Israel's blanket-bombing of southern Lebanese towns and villages in July 1983 caused thousands of Lebanese to flee toward Beirut. "Operation Accountability" was meant to make the population reject Hezbollah: the opposite effect was achieved. 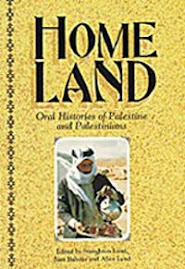 This book should take its place in your library next to, say, those of Israel's "revisionist" historians, Noam Chomsky's The Fateful Triangle and, more recently, Idith Zertal's and Akiva Eldar's Lords of the Land: The War Over Israel's Settlements in the Occupied Territories (1967-2007) (Nation Books, 2007). If you're daunted by the book's length, begin with the first chapter, an excellent overview of the whole that includes concise summaries of each subsequent chapter. You may want to jump to the concluding "Findings and Lessons." Then dip at will into the chapters you find most intriguing (each has a convenient closing summary). Keep coming back over time: this is a book one digests over the course of many sittings. Problems: I find the index sometimes frustrating: look for "Yamit" -- it's missing. Look for "assassinations" or even "targeted assassinations" -- also missing. A substantive flaw: while Maoz at points alludes to the US's influence on Israel's conduct, he doesn't hammer away at it as a theme. Then there's his belief that Israel's policies of force have been "failures" or "folly." But what if the inevitable escalation of war into war, "limited conflicts" into further conflagrations, were deliberate? As I write this review, Avigdor Lieberman has just become Israel's new Foreign Minister. Gaza lies in ruins. (On the walls of a shelter where twenty-seven members of one family were killed by an air strike, are inscribed Israeli soldiers' sentiments born of sixty years of "Iron Wall" indoctrination: "Make war not peace," "Arabs need to die," and "Arabs 1948- 2009." Such genocidal hatred will flourish only more luridly with the incoming government.) 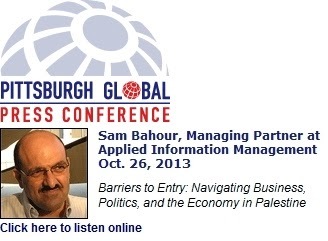 In the West Bank including East Jerusalem, settlement expansion goes on apace. 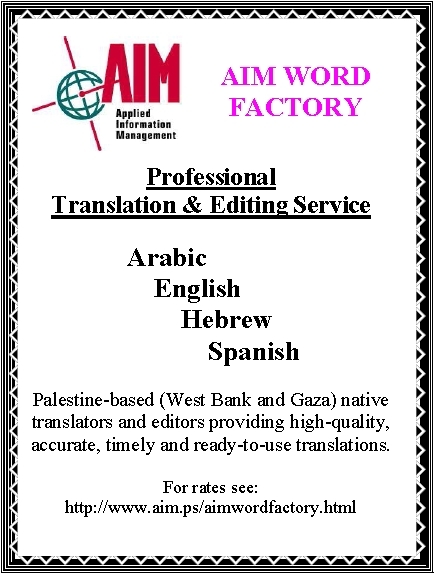 Settler and army attacks against Palestinians and international supporters continue unabated. As usual, Obama hasn't said boo, nor has Hillary Clinton (her only remark about the destruction of 1,000 Gazan homes was that it was "unhelpful"). The real lesson of this book may be grim: force works. * [Note added March 22, 2009] In 1974, following the Yom Kippur War, Israel had to agree to a "much worse deal" than Sadat had offered in 1971. But withdrawal from the Sinai wasn't part of the deal -- that happened only after Camp David (1978-79). Moreover, the burden of blame for Israel's rejection of Sadat's 1971 peace offer falls on the US's Henry Kissinger (then national security adviser), whom Maoz describes as having been in a "turf battle" with Secretary of State William Rogers who did favor the peace plan. Absent Kissinger, Israel might well have followed a different path in 1971 -- and even after. Those who want to follow up on the Kissinger role should also consult Noam Chomsky's The Fateful Triangle from p. 65. Ellen Cantarow has written since 1979 about Israel and the West Bank for The Village Voice, Z, Znet, Counterpunch, and many other publications. The Palestinian youths from the tough West Bank refugee camp stood facing the elderly Holocaust survivors Wednesday, appearing somewhat defiant in a teenage sort of way. Then they began to sing. The choir burst into songs for peace, bringing surprised smiles from the audience. But the event had another twist: Most of the Holocaust survivors did not know the youths were Palestinians from the West Bank, a rare sight in Israel these days. And the youths had no idea they were performing for people who lived through Nazi genocide — or even what the Holocaust was. "I feel sympathy for them," Ali Zeid, an 18-year-old keyboard player who said he was shocked by what he learned about the Holocaust, in which the Nazis killed 6 million Jews in their campaign to wipe out European Jewry. "Only people who have been through suffering understand each other," said Zeid, who said his grandparents were Palestinian refugees forced to flee the northern city of Haifa during the war that followed Israel's creation in 1948. 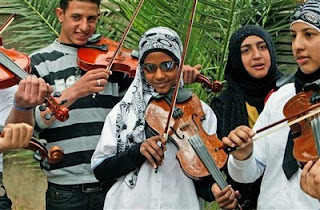 The 13 musicians, aged 11 to 18, belong to "Strings of Freedom," a modest orchestra from the hardscrabble Jenin refugee camp in the northern West Bank, the scene of a deadly 2002 battle between Palestinian militants and Israeli soldiers. The event, held at the Holocaust Survivors Center in this tree-lined central Israeli town, was part of "Good Deeds Day," an annual event run by an organization connected to billionaire Shari Arison, Israel's richest woman. 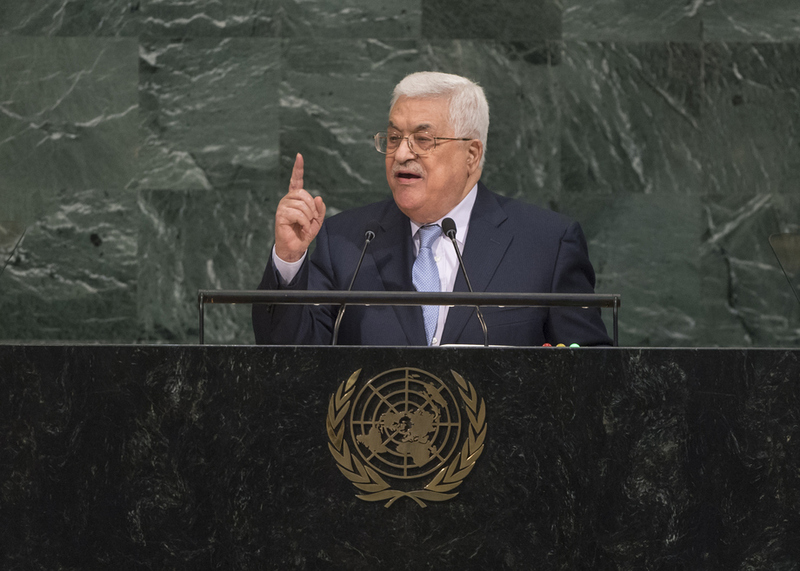 The two-hour meeting starkly highlighted how distant Palestinians and Israelis have become after more than eight years of bloody Palestinian militant attacks and deadly Israeli military reprisals. Most of the Palestinian youths had not seen an Israeli civilian before — only gun-toting soldiers in military uniforms manning checkpoints, conducting arrest raids of wanted Palestinians or during army operations. "They don't look like us," said Ahed Salameh, 12, who wore a black head scarf woven with silver. 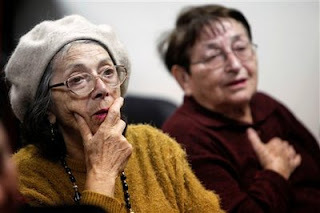 Most of the elderly Israelis wore pants and T-shirts, with women sporting a smear of lipstick. "Old people look different where we come from," Salameh said. 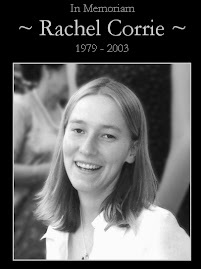 She said she was shocked to hear about the Nazi genocide against Jews. Ignorance and even denial of the Holocaust is widespread in Palestinian society. Amnon Beeri of the Abraham Fund, which supports coexistence between Jews and Arabs, said most of the region's residents have "no real idea about the other." The youths said their feisty conductor, Wafa Younis, 50, tried to explain to them who the elderly people were, but chaos on the bus prevented them from listening. The elderly audience said they assumed Arab children were from a nearby village — not from the refugee camp where 23 Israeli soldiers were killed, alongside 53 Palestinian militants and civilians, in several days of battle in April 2002. Some 30 elderly survivors gathered in the center's hall as teenage boys and girls filed in 30 minutes late — delayed at an Israeli military checkpoint outside their town, they later explained. Some of the young women wore Muslim head scarves — but also sunglasses and school ties. As a host announced in Hebrew that the youths were from the Jenin refugee camp, there were gasps and muttering from the crowd. "Jenin?" one woman asked in jaw-dropped surprise. Younis, from the Arab village of Ara in Israel, then explained in fluent Hebrew that the youths would sing for peace, prompting the audience to burst into applause. "Inshallah," said Sarah Glickman, 68, using the Arabic term for "God willing." Glickman, whose family moved to the newly created Jewish state in 1949 after fleeing to Siberia to escape the Nazis, said she had no illusions the encounter would make the children understand the Holocaust. But she said it might make a "small difference." "They think we are strangers, because we came from abroad," Glickman said. "I agree: It's their land, also. But there was no other option for us after the Holocaust." 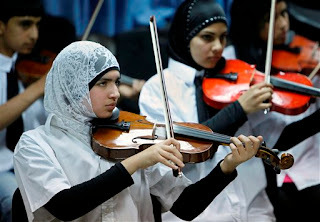 Later, she tapped her feet in tune as the teenagers played a catchy Mideast drum beat. After the event, some of the elderly Israelis chatted with students and took pictures together. The encounter was not absent of politics. Younis dedicated a song to an Israeli soldier held captive by Palestinian militants in the Gaza Strip — and also criticized Israel's occupation of the West Bank. 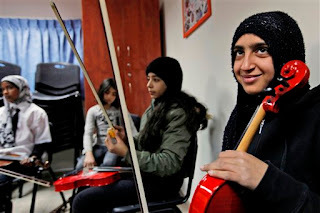 But she said the main mission of the orchestra, formed seven years ago to help Palestinian children overcome war trauma, was to bring people together. "I'm here to raise spirits," Younis said. "These are poor, old people." An adroit lobbying campaign has cracked open the bountiful Israeli market for U.S.-grown pistachios. It took many years, false starts and dead ends, all in the shadow of the fraught relationship between the United States and Iran. Diplomats and politicians got involved, at the highest levels. The solution itself is a bit of bank shot. And yet, it's already paying off as pistachio shipments from California's San Joaquin Valley climb. "This has been for us an issue that's been very frustrating, to say the least," Richard Matoian, executive director of the Fresno, Calif.-based Western Pistachio Association, said Friday. The historic problem, U.S. growers say, has been that low-cost Iranian pistachios were imported into Israel via Turkey. That stings, because Israel potentially is a lucrative market. The county leads the world in per-capita pistachio consumption. In theory, Israel maintains a trade embargo on Iran. In practice, U.S. growers say, they have repeatedly found evidence of Iranian pistachios finding their way into Israel. Since 1997, when then-Secretary of State Madeline Albright weighed in, U.S. officials have periodically pressed Israel to stop the Iranian shipments. "We appreciate the warm relations we have with the United States," Yakov Poles, agricultural attache for the Israeli Embassy, said. "Since this issue was raised by pistachio growers in California, we took it very seriously." The connections thickened in October, when Rep. Jim Costa, D-Calif., hosted a fundraising event in Clovis, Calif. His guest was Rep. Howard Berman, D-Calif. Berman chairs the House Foreign Affairs Committee, on which Costa sits, and he is sympathetic to Israeli concerns. "Items banned by the Israeli authorities last week included jam, biscuits and tomato paste, resulting in 498 boxes of USAID cargo and 2,488 boxes of World Vision cargo stopped from delivery to Gaza. According to COGAT*, food parcels containing these foodstuffs, as well as tea, sweets and date bars, will be rejected in the future." The office at the Adiv fabric-printing shop in south Tel Aviv handles a constant stream of customers, many of them soldiers in uniform, who come to order custom clothing featuring their unit's insignia, usually accompanied by a slogan and drawing of their choosing. Elsewhere on the premises, the sketches are turned into plates used for imprinting the ordered items, mainly T-shirts and baseball caps, but also hoodies, fleece jackets and pants. A young Arab man from Jaffa supervises the workers who imprint the words and pictures, and afterward hands over the finished product. Dead babies, mothers weeping on their children's graves, a gun aimed at a child and bombed-out mosques - these are a few examples of the images Israel Defense Forces soldiers design these days to print on shirts they order to mark the end of training, or of field duty. The slogans accompanying the drawings are not exactly anemic either: A T-shirt for infantry snipers bears the inscription "Better use Durex," next to a picture of a dead Palestinian baby, with his weeping mother and a teddy bear beside him. A sharpshooter's T- shirt from the Givati Brigade's Shaked battalion shows a pregnant Palestinian woman with a bull's-eye superimposed on her belly, with the slogan, in English, "1 shot, 2 kills." A "graduation" shirt for those who have completed another snipers course depicts a Palestinian baby, who grows into a combative boy and then an armed adult, with the inscription, "No matter how it begins, we'll put an end to it." 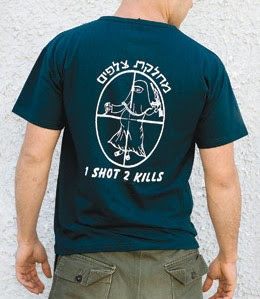 Evyatar Ben-Tzedef, a research associate at the International Policy Institute for Counter- Terrorism and former editor of the IDF publication Maarachot, said the phenomenon of custom-made T-shirts is a product of "the infantry's insane race to be unique. I, for example, had only one shirt that I received after the Yom Kippur War. It said on it, 'The School for Officers,' and that was it. What happened since then is a product of the decision to assign every unit an emblem and a beret. After all, there used to be very few berets: black, red or green. This changed in the 1990s. [The shirts] developed because of the fact that for bonding purposes, each unit created something that was unique to it.